One side blue with france flag, and one side blue with red. Winter thermal ear cover head gear. MERCIER Hutchinson wool jersey. 100% Merino wool. Chainstitch embroidery. 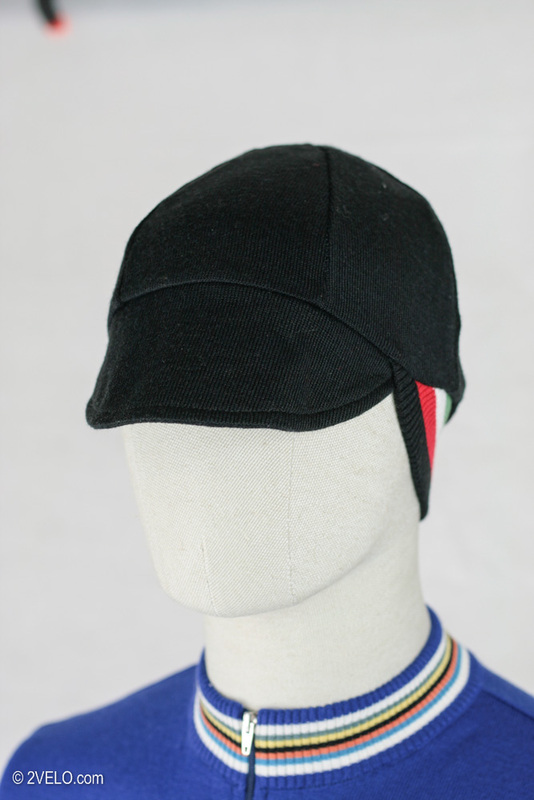 Same as worn by Raymond Poulidor.